It often comes as a shock to motorcycle riders when they get an insurance quote – and this article looks at some of the factors that can have an impact on the cost of motorcycle insurance. While some factors, such as where in the UK you live and the likelihood of crime in your area and your motorcycle’s make and model are fixed and difficult to affect, there are other calculations involved in insurance premiums for bikes which are more variable, and which you can research and apply in order to reduce costs. While it is now unlawful for all forms of motor insurance to take gender into account in determining insurance quotes, certain risk analysis remain at the disposal of companies in trying to predict the likelihood of accidents and expensive damage caused by at-fault riders and drivers. Often, a series of categories of profession are offered by insurance companies, which do not quite match up to the many varied and rapidly developing jobs people do, which in turn do not equate strictly to the old-fashioned professions the companies tend to rely on still. Police officers and teachers receive better rates, and while there’s nothing much you can do about it if you earn your living as an investigative journalist or stunt performer, if your office job entails both activities which are recognised as socially responsible and more risky ventures, you should identify a professional title that encapsulates your responsible side. Equally, another one of the main factors affecting motorcycle insurance in the UK is whether you take passengers and, if you do, what their background data indicates according to the insurance analyst’s algorithms. For a younger rider, there are benefits of naming a more mature passenger, or one who has a social or law-related profession. Riders who regularly have their partner ride with them, for example, are less likely to have accidents and more likely to ride responsibly, according to the insurance companies. 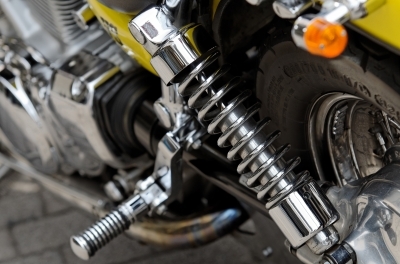 Taking proactive steps to protect your motorcycle from opportunistic and petty theft can, in the long run, reduce your insurance costs, as one of the key factors affecting motorcycle insurance is where the bike is stored overnight. Risk is largely determined in this context according to postcode and statistical crime rates, so it is out of your hands short of moving house. However, thinking outside of the box a little, such as looking around for cheap garages near your flat, or even asking a neighbour to take up a small amount of space with your bike overnight, is a practical solution to a fixed factor in calculating insurance premiums for your bike. The main thing for your bike, much as it is for teenage children, is to keep it off the streets at night, so explore your neighbourhood to try to find ways of avoiding this. If you do park on the street, the type of anti-theft devices, including the type of chain you use, will be a major consideration. While some factors affecting motorcycle insurance are variable, as indicated, further factors that are fixed include the make and model of the bike being insured, any penalties and convictions declarable from five years to the present date, and any at-fault claims. It is therefore worth researching the variable factors in detail. This article has been written by James McDonnel, a passionate writer who loves everything that has to do with wheels and driving/riding. Perhaps one can expand on this as it is a concern to riders that the insurance companies have previously taken a hard stance on alterations including those that mean nothing and are of no consequence and refused payment in some circumstances. « France: high visibility vests compulsory again?